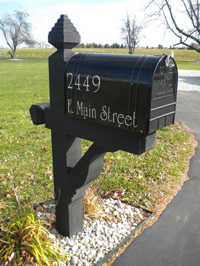 Otto’s Streetscape Solutions can outfit your mailbox with a custom mailbox post to meet your needs, with both cedar mailbox posts and aluminum mailbox posts available. Enhance your home or neighborhood mailbox curb appeal with a sturdy cedar post or a stylish decorative aluminum post. Our Production Staff has the necessary tooling to manufacture and paint a new post to meet your community specifications. Below are just a few of the designs we have completed for many satisfied homeowners. 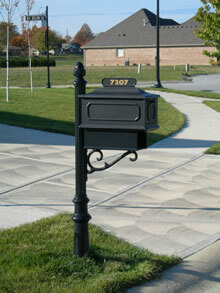 We are a proud distributor and installer of Imperial Mail Box Systems as well as other decorative lines. Enhance your community with some of these stylish elegant designs.